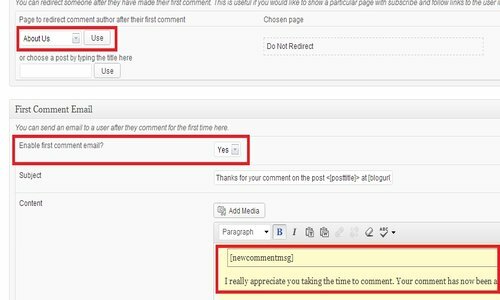 CommentLuv is one of the most popular WordPress plugins when it comes to enticing readers to leave comments on a blog. 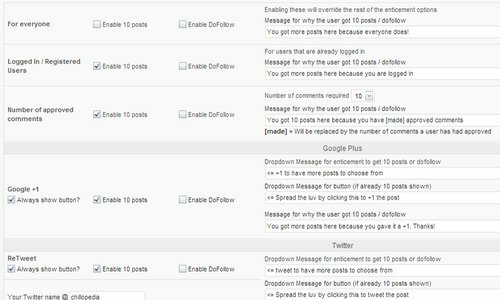 This plugin basically rewards readers for leaving comments in various ways and provides publishers with a fine grain mechanism to control these rewards (specially do-follow links). CommentLuv Premium (the paid full version of the free CommentLuv plugin) performs a number of different powerful tasks – it is in fact a collection of various useful mini-plugins each of which performs a specific task. Most bloggers are turning towards CommentLuv Premium due to variety of reasons, but the most common one is ‘traffic generation’. We at Chillopedia too recently switched to CommentLuv Premium from Disqus due to the same very reason. So, how does CommentLuv actually increase the traffic of a blog? Lets find out! 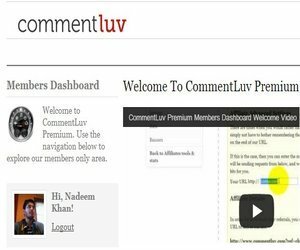 There are a number of ways in which CommentLuv Premium increases the traffic of a blog, the most important one being the fact that it increases the user engagement ten folds (number of genuine comments) and makes you part of the entire CommentLuv community (which is really active and ‘Luving‘). After Google Panda update, comments are considered to be one of the major factors Google takes into account while ranking a page. It is also known that Google considers comments to be the part of the ‘content’ on a page and therefore comment volume can really make a difference in ranking. For example, consider an article with 600 words and 400 relevant words in the comments – to Google the ‘content’ on the entire page will be 1000 words. Now on the contrary, consider an article with 800 words but 20 relevant words in the comments – to Google the content on the page will be 820 words. As it is now an established fact that Google ranks ‘relatively shallow content’ lower in SERPs therefore the article with 600 words will outrank the article with 800 words thanks to additional content in the comments (provided all other on-page/off-page SEO factors on both pages are equally matched). 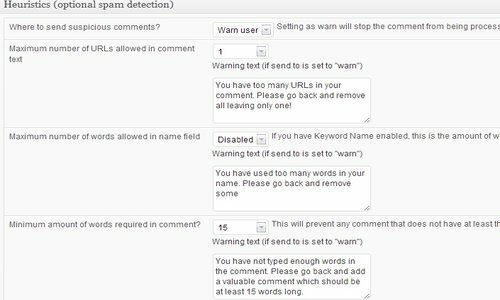 Note: We used ‘relevant words’ because one liner generic spam comments never help! This plugin holds the real essence and functionality of CommentLuv – that it allows visitors to leave comments and get benefits depending upon their social sharing activity. e.g. a commentor can get a do-follow backlink for any of its 10 most recent posts for sharing a post on a social network (there are a number of rewards for a publisher to choose from that can be given to a commentor). 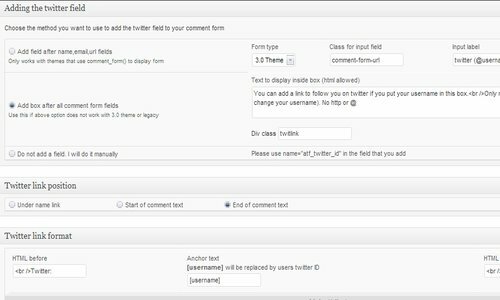 This plugin allows users to use their Twitter usernames in comments which easily allows commentors to increase their followers on Twitter. 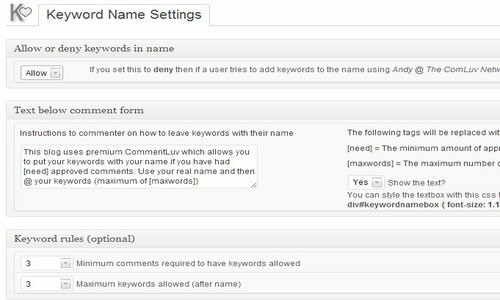 This plugin (previously called as KeywordLuv) encourages users to use keywords (that get stored separately in the database) of their interest along with their names (if allowed by the publisher). This plugin provides a cool top CommentLuver widget which can be placed in the sidebar or any desired spot to show the top commentors on the site. It is found to be quite effective in encouraging more comments from blog visitors. It takes spam protection to a whole new level by introducing a checkbox with a user defined message and gives publishers some very cool options like specifying the minimum number of words for a comment to get posted, number of URLs in a comment, number of words in the name field, ip validation, banning search terms, disabling self pings and enabling/disabling trackbacks. This mini-plugin is really useful for multi-author blogs as it notifies the author of the post about new comments. It also allows publishers to send a user defined first comment email (HTML allowed) to a commentor and also lets you set a ‘first comment redirect’ target URL. 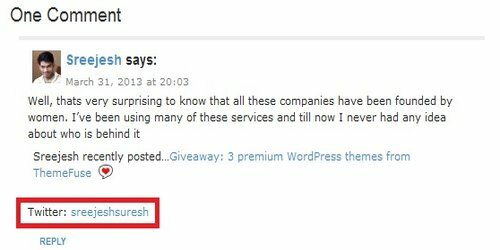 CommentLuv Premium is truly the king of all comment management WordPress plugins as it provides an extraordinary set of features to publishers along with providing visitors with an equal set of cool and useful features. If you really want to increase user engagement on your blog, CommentLuv Premium is the optimal solution with no alternative in existence at all. We at Chillopedia ourselves have switched to CommentLuv and have observed immediate promising results, therefore we highly recommend it!